Edvard Munch (December 12, 1863, Ådalsbruk, Norway, to January 23, 1944, Oslo, Norway) was a Norwegian artist with a northern, alarmist, pessimistic and prophetic worldview, which formed the basis of his expressionist style. 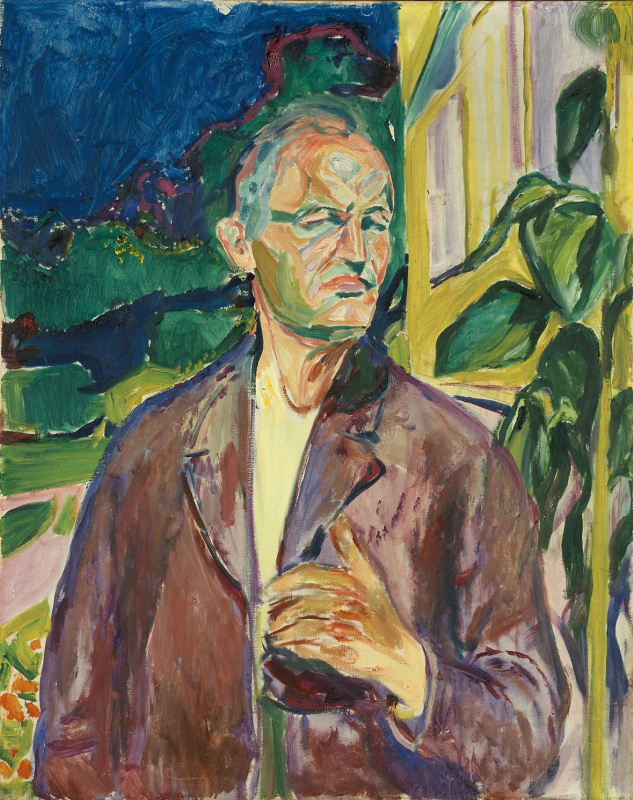 Attributes of His Works: For most of his life, Munch worked on his large Frieze of Life—A Poem about Life, Love and Death series. It includes all the most famous and iconic works of the artist. Tragic, nerve-racking, and pessimistic—completely justifiable and inexplicable forebodings—his paintings are created with a brutal contrast of color, sharpness of shapes, and the inevitable rhythm of the composition. Famous paintings by Edvard Munch: "The scream", "Vampire", "Girls on a bridge", "Madonna", "Four ages in life", "The Dance of Life", "The Day After". 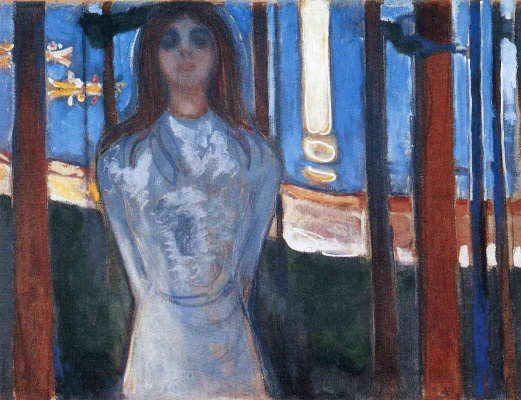 Munch’s early life was a tragic harbinger to the morbid and melancholy style of art that he would become famous for. He was told of his mother’s death from tuberculosis on Christmas day, and older sister died of the same thing a few years later, and Edvard himself missed much of school due to illness, drawing to pass the time. His father was an army doctor whose overbearing religiosity made an impact on the young boy’s psyche, which the artist later blamed for his mental-health problems. 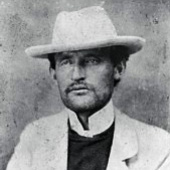 Despite, or perhaps as a result of, his father’s devout Christianity, Edvard found himself at home with the anarchists, atheists and troublemakers of the Kristiania Bohemians, particularly Hans Henrik Jæger, who was often in trouble with the law for his nihilistic writings. He studied engineering at a technical college, but dropped out after just a year with the goal of becoming a painter. 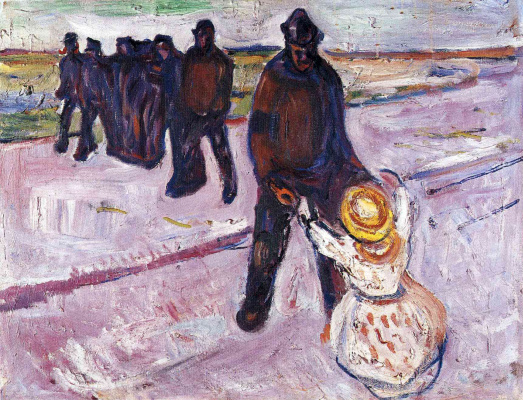 Munch’s father was not happy with this decision and didn’t like his son’s new friends, but he still supported him financially despite their cold relationship. 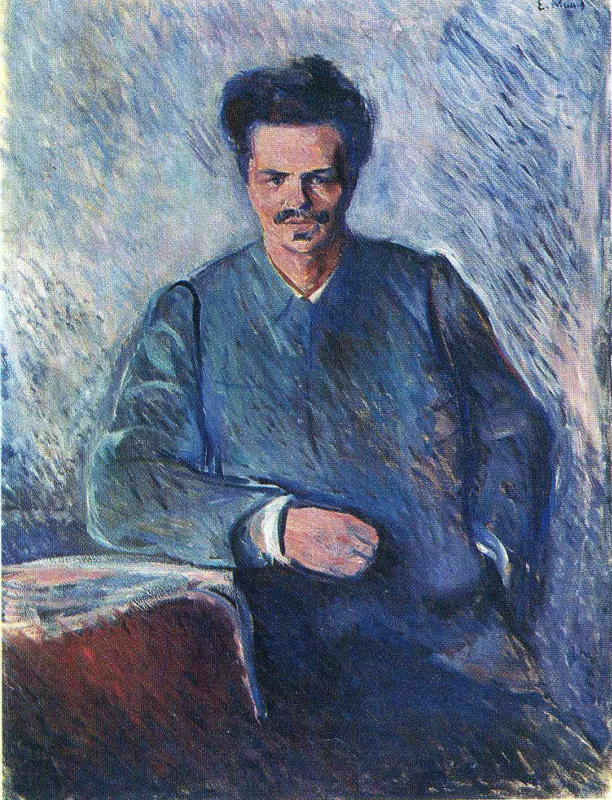 In 1889 Munch traveled to Paris for the Exposition Universelle where he displayed a painting, but that December his father died and he was forced to return and take care of his family’s financial responsibilities. In 1892 he was invited to Berlin to display his works in a one-man exhibition, but people were so outraged by the paintings that it was shut down after one week, which Munch found amusing. He spent four years there, mingling with an international group of artists and planned what would be his next big project, Frieze of Life—A Poem about Life, Love and Death. "I was walking along the road with two friends—the sun went down—I felt a gust of melancholy—suddenly the sky turned a bloody red. I stopped, leaned against the railing, tired to death—as the flaming skies hung like blood and sword over the blue-black fjord and the city—My friends went on—I stood there trembling with anxiety—and I felt a vast infinite scream [tear] through nature." 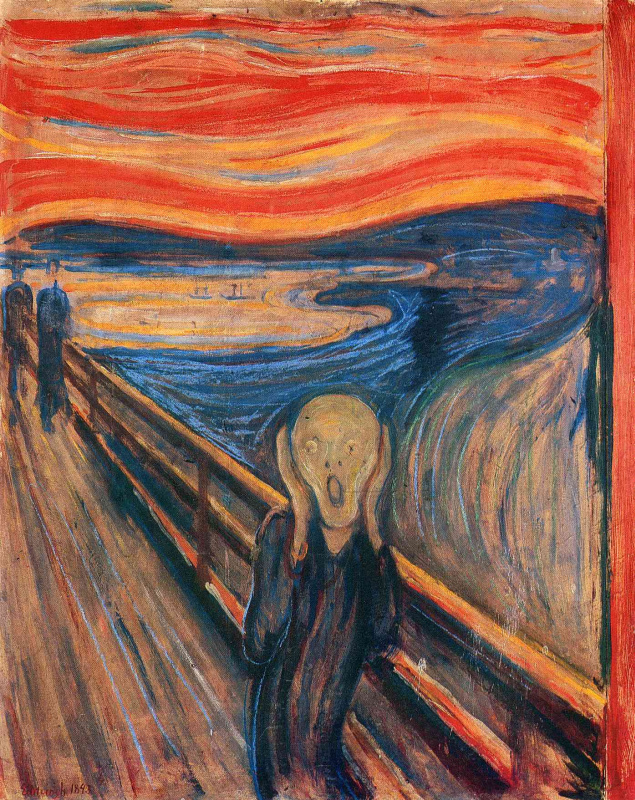 It was this feeling that Munch expressed in The Scream (1893, National Gallery, Munch Museum), his best-known work and one of the most iconic paintings in European history. It perfectly captures the chaos and emotional turmoil of anxiety and depression with its striking simplicity and millions of people have certainly been able to relate to the panicked, ghost like figure being overcome with horror and letting loose with an uncontrollable scream. 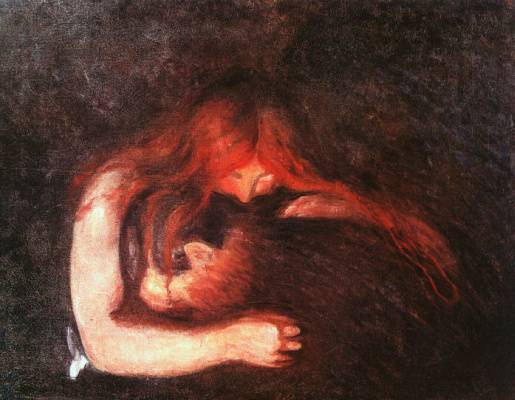 Munch didn’t like the name that everyone called his painting Love and Pain (1893−1895, Munch/Stenersen) Vampire. He claimed that it was simply a woman kissing a man’s neck, but to art critic Stanislaw Przybyszewski, and the public at large, it was obviously a red haired undead vixen sucking the lifeblood from a poor guileless man. It was denounced as degenerate when it was unveiled, and then again a half-century later by the Nazis. He painted several versions of it over the years, some of which have been stolen and returned, and one is still missing. 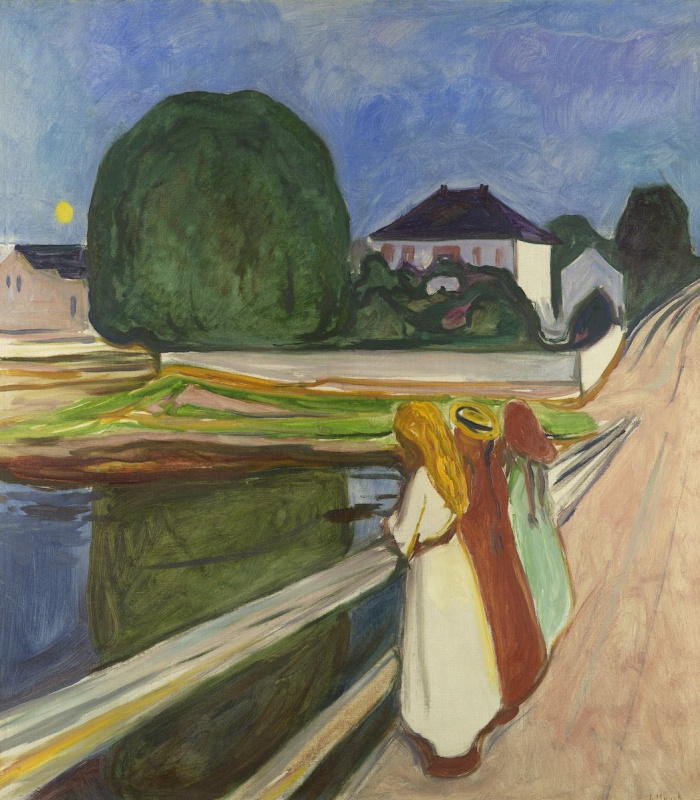 The bridge in The Girls on the Bridge (1901, National Museum of Art, Architecture and Design, Oslo) is leading in the opposite direction of the bridge in The Scream, and the mood of the painting is lighter and more optimistic, although the faces of the girls are hidden (there were several versions, and in some of them one of the girls' face is visible) and there seems to be a dark undercurrent of the painting, ghostly figures barely visible in the trees or a concerned melancholy of the girls in the way they hunch over the water or huddle together conspiratorially in the middle of the bridge. Anxiety (1894, Munch Museum, Oslo, Norway) touches on the same themes (and takes place on the same bridge) as the Scream and was painted with a similar tumultuous swirly red and yellow sky and rolling hills and boats. Whereas The Scream showed the violence of existential anguish, Anxiety perfectly illustrates the quiet internal turmoil of anxiety. The emotionless faces of the sorrowful group of people dressed in black, led by a woman, are a metaphor for the invisible struggles with mental illness that many people face. Madonna (1894−1895, Munch Museum, Oslo) is a departure from previous depictions of the Virgin Mary, showing a sensual naked woman with a red halo. She is interpreted as symbolizing the cycle of life, love and death. There were several different versions of her as well, two of them being stolen in separate incidences, before being recovered by police. In the second theft, in 2004, the painting was stolen along with The Scream by masked gunmen. Like other paintings by Munch, the theme of Four Ages in Life (1902, Rasmus Meyer Collection, Bergen, Norway) is the cycle of life and death, here shown literally, with four generations of women, all dressed in black as if attending a funeral, with the youngest, a child, smiling innocently, unaware of the hardships life will bring and ignorant of the weight of the occasion. She is wearing a bright red hat, which contrasts the darkness of their dress and recalls the red halo of Madonna. The rest of the women are stern as if in mourning, and the road wanders listlessly into the distance, another characteristic of Munch. Munch’s first romantic relationship was with a cousin by marriage that he only referred to as Mrs. Heiberg, and he was devastated when she broke things off. A following romance with Tulla Larsen, a wealthy upper class woman who wanted nothing more than for Munch to marry her, was short-lived due to Munch’s lifelong gamophobia. The Dance of Life (1900) shows Munch and his Mrs. Heiberg dancing closely and in love again, while two versions of Larsen look on sadly; to the left is a youthful Larsen in a white and gold dress, and to the right she is shown older and reserved, in a black dress. The first version of The Day After (1894−1895, National Museum of Art, Architecture and Design, Oslo) was lost in a fire in France in 1891. Many critics dismissed the subject as being a drunken prostitute, but stylistically it is very different from his other portrayals of prostitutes. More likely it is another image of suffering, that of the hangover, but it leaves many questions to the observer, such as what exactly happened the day before and who was drinking from the second glass on the table? Was hers the empty glass or the one left half-finished? 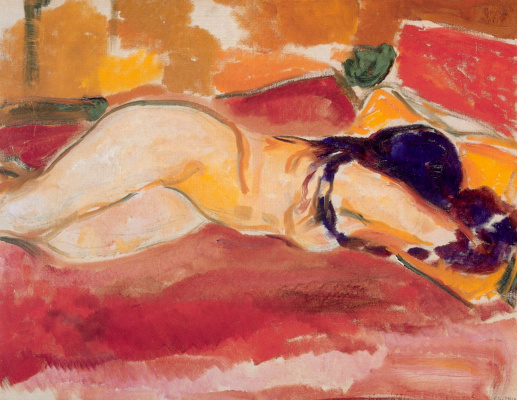 Sprawling and blouse unbuttoned, oblivious to the fact that she will soon fall off the bed if she doesn’t wake up, she is still painted with sensitivity and compassion for the human condition that makes Munch one of the great artists of European history. 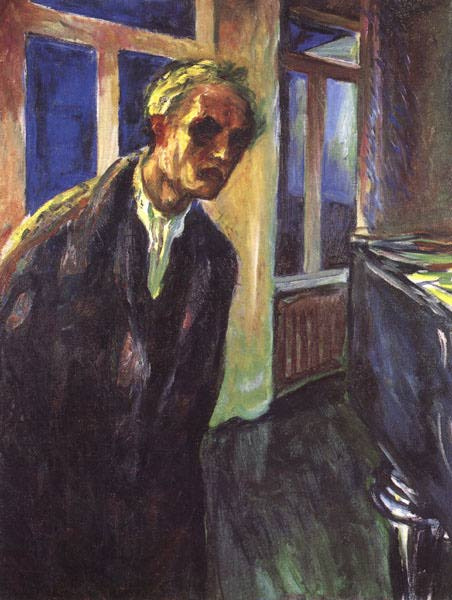 In the early 20th century, Munch’s anxiety and alcoholism led to him having a nervous breakdown and being hospitalized and treated for mental illness. After he was released the mood of his paintings became lighter and the people of Norway started appreciating his art, bringing him a kind of peace finally. He isolated himself and painted mostly farm life and nudes. When the Nazis took over the Norwegian government, he feared that they would confiscate his paintings, which he had always hated parting with, considering each work like a child. He died in 1944, before the end of the war at the age of 80 and was buried at Vår Frelsers gravlund in Oslo.